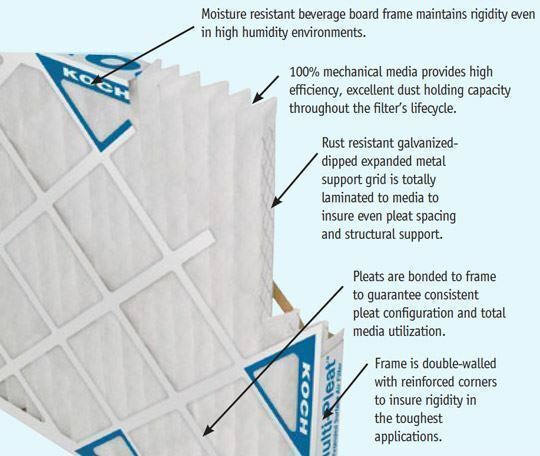 The Koch Multi-Pleat XL8 is a medium efficiency extended surface pleated panel filter, engineered to provide higher initial efficiencies and overall superior performance than standard pleated filters. The Multi-Pleat XL8 carries a MERV 8 and MERV-A 8 performance rating in accordance with ASHRAE Test Standard 52.2-2007. 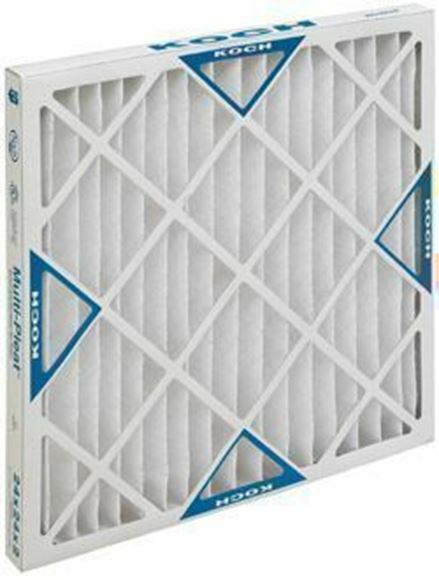 The MERV 8 and MERV-A 8 performance rating provided by the Multi-Pleat XL8 make the filter an excellent upgrade from disposable filters and standard MERV 6 and 7 rated pleated filters. The Multi-Pleat XL8 is the best selection in applications such as hospitals, laboratories, pharmaceutical plants, commercial office buildings, and in any system in which a higher degree of indoor air quality is required. 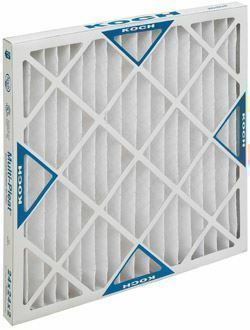 The Multi-Pleat XL8 media is produced with an optimal blend of highly specialized fibers, developed by Koch Filter Corporation specifically for use in extended surface air filters. Developed to deliver a “one of a kind” performance, this specialized media operates on mechanical filtration principles which provide high efficiency, low pressure drop and high dust holding capacity. 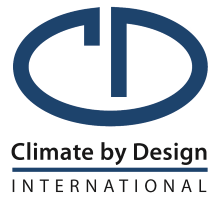 The Koch Multi-Pleat XL8 maintains a MERV 8 performance rating before and after conditioning steps when tested in accordance to ASHRAE Test Standard 52.2-2007 and 52.2-2007 Appendix J. Standard Capacity XL8-SC filters provide a combination of efficiency, economy, and excellent overall performance. 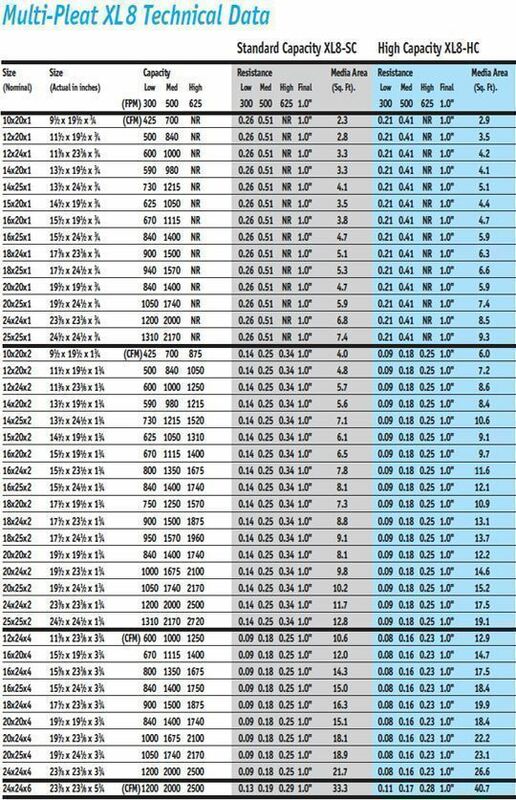 Standard Capacity XL8 filters are an excellent choice in applications where filter change schedules are based on preventive maintenance schedules.